Home Sales & Marketing Branding What is brand positioning? “A brand is a promise” is a neat answer to the question “what is a brand?” but how many of us would hand over money for a promise alone? Brands succeed by consistently delivering what their customers need: benefits, experiences and emotions. Over time, the best brands become strongly associated with those benefits, experiences and emotions so that we all know what to expect from them. Apple became the world’s most valuable brand by ‘owning’ a unique combination of benefits, experiences and emotions. When we see the Apple logo, it is a very powerful reminder of that bundle of associations. The logo, design, taglines etc. are not ‘the brand’ but they act as a kind of trigger to all the associations we have and the most powerful of those associations are the emotional ones – because most decision-making is driven by emotions. Here is opento’s definition: a brand is a non-conscious shortcut to a customer choice. ‘Non-conscious’ because it triggers all those associations without the need for us to work through them rationally. We ‘feel’ better choosing our favorite brand. ‘Shortcut’ because it works very quickly and easily. In-store decision-making often takes much less than one second. Why are brands valuable to customers? As customers, we are faced every day with many choices, often difficult, confusing or just not important enough to deserve our time. The positive feelings and the speed of decision-making that comes from a strong brand and its associations make us happy and confident in those choices. In other words, brands help us make choices quickly, happily and confidently. And that’s why they’re valuable to us as customers. Why are brands valuable to businesses? Strong brands deliver superior shareholder returns. Research studies repeatedly show the value of building strong brands. For example, the Financial Times regularly reports on top global brands and shows the link between brand strength and economic value. That value is achieved through an astonishingly simple but powerful mechanism: brands help people to make decisions quickly and confidently because of their instant associations. Look at the distorted visual of brand logos in the picture above. Brand researchers use such ‘degraded’ stimuli to understand the strength of brand associations. 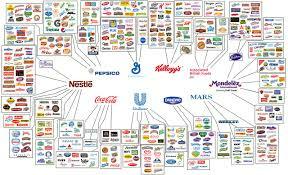 Even without a clear view, you can probably recognize many of these brands instantly and say how you feel about them. And that shortcut to emotional associations is why brands are important to businesses. What does this mean for brand positioning? The key to brand positioning then is to focus on the right ‘bundle of associations’ for your brand. Good brand positioning takes into account: your brand vision, your customer needs and your competitive market. In our next post, we’ll explore how to bring these three aspects together to define your brand positioning. Find out more and explore our products to help you with your brand positioning by visiting the Brand Positioning Department of our store. This is an editted version of an earlier post from the blog at the opento store.